This archive holds all posts form May 8, 2009. Television plays a central role in perpetuating the four-centuries-old white racist framing of African Americans. I was reading today a 2008 article by Travis Dixon (Travis Dixon, “Crime News and Racialized Beliefs,” Journal of Communication March 2008). Numerous other studies by Dixon and various researchers show similar patterns. (See chapters 7-8 here) Today, one major source of many negative images of black Americans (and other Americans of color) is television. Eight in ten Americans watch local television news at least four nights a week. These local news programs, now the major source of information for a majority, often accent violent crime. One study of fifty-six cities found that crime was the subject of one-third of such local programming. Studies also show that local violent crimes get extensive coverage, while local nonviolent crimes such as fraud and embezzlement usually get little. Black suspects are commonly over-represented relative to actual arrest rates, while the opposite is true for whites. In an earlier 2002 study Dixon and D. Linz suggested that this media criminality imagery likely influences the way many whites view their chances of being victims, as well as the way they might decide guilt or innocence on juries in cases involving black defendants. 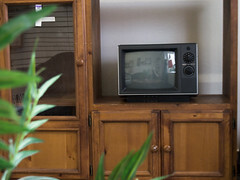 The media theory called “cultivation theory” argues that heavy exposure to television content about the social world tends to influence how people see the outside society, even if that outside world is not at all like that in the television programming. Television thus constantly reinforces four-centuries-old stereotypes from the white racist framing of African Americans and other Americans of color like the Latino whose death we blogged on recently –which is one major reason that there cannot be a “post-racial America” any time soon. At a minimum, the white racial frame’s constant perpetuation and reinforcement in the media will have to come to an end before whites’ racist views of African Americans can come to an end.